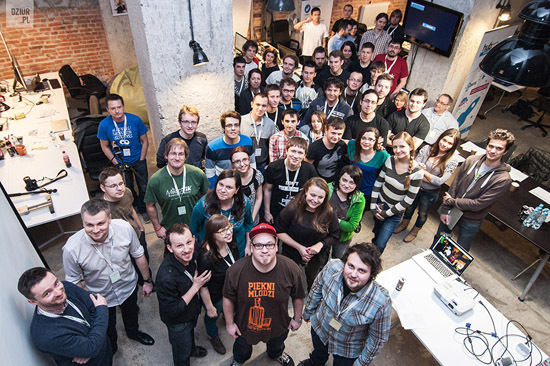 Disadvantaged people have every reason to toast the success of a charity drive that brought IT experts together in Krakow. Talented software App developers got in the inventors’ saddle for a 48-hour non-stop Hackathon in aid of needy communities, and came up trumps. Seven teams created innovative smart technology tools to help transform the lives of disadvantaged people in Poland and worldwide. First place in the Krakow hack4good event at the creativestyle office in Zabłocie went to a team that developed a mobile App allowing blind people to obtain real-time audio information about bus and tram journeys. Runners-up also perfected a mobile App enabling deaf people to send an emergency SMS message via the 112 service to call for help. This second-placed winning tool is set to be rolled out across Poland in the summer. Third place went to the creators of an App intended to send urgent text message requests for help to registered blood donors. 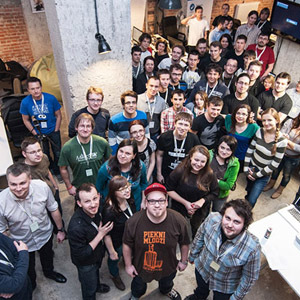 Eight projects were supported by volunteers representing non-profit organisations at the hack4good weekend tech-marathon in Zabłocie on Feb 7–9, 2014. 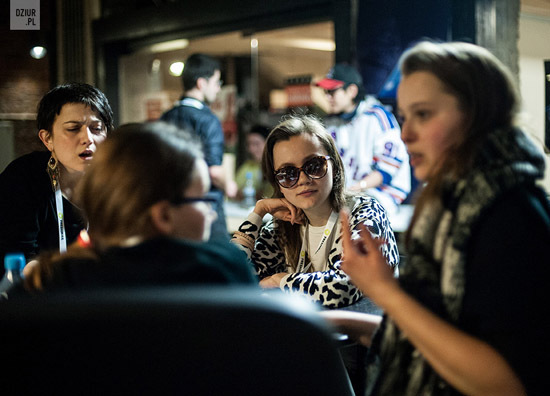 One of the teams went 48 hours without a break to develop two tools for needy causes. Each team accepted the challenge to create games and practical tools for charities, non-govermental organisations and people with special needs. It was a long haul but worthwhile, thanks to the generosity of event sponsors: Google, Creativestyle, Codete, Copper, Making Waves, Softnauts, Software Mansion, SMSapi, Estimote, e24cloud.com, burn, PWN, and Freshmail, who supplied food, drinks, prizes and API technical support. Judges had a hard decision to make, but agreed that the best project was the talking travel system, created by Maciej Szafraniec, Jakub Mazur and Ivo Polański. It gives non- and partially-sighted users up-to-the-second aural commentary on bus and tram movements – guiding people to stops, telling them where the next service is due, when it has arrived and, once on board, real-time updates on the journey. The application works thanks to devices called beacons produced by the Estimote company – which utilise the Bluetooth network. The implementation of text messages to the emergency telephone number for the deaf has wider use for able-bodied people alike. The team (Jakub Wiśniewski and Wojciech Krawczyk) has already been in discussion with the people in charge of the nationwide 112 SOS telephone service, with hopes high that technology created at the hackathon could be rolled out early as June 2014. In third place were Artur Staniec, Dawid Rusnak, Marcin Klocek, Bartek Dukes and Krzysztof Daniel, who created a useful tool that trawls medical websites to notify registered blood donors via email, SMS or Android as and when life-saving donations are needed.